The Front Rack is a minimalistic front carrier. This model suitable for Brompton folding wheels, can easily be clicked into place above the carrier block attached to the front wheel and removed just as quickly. 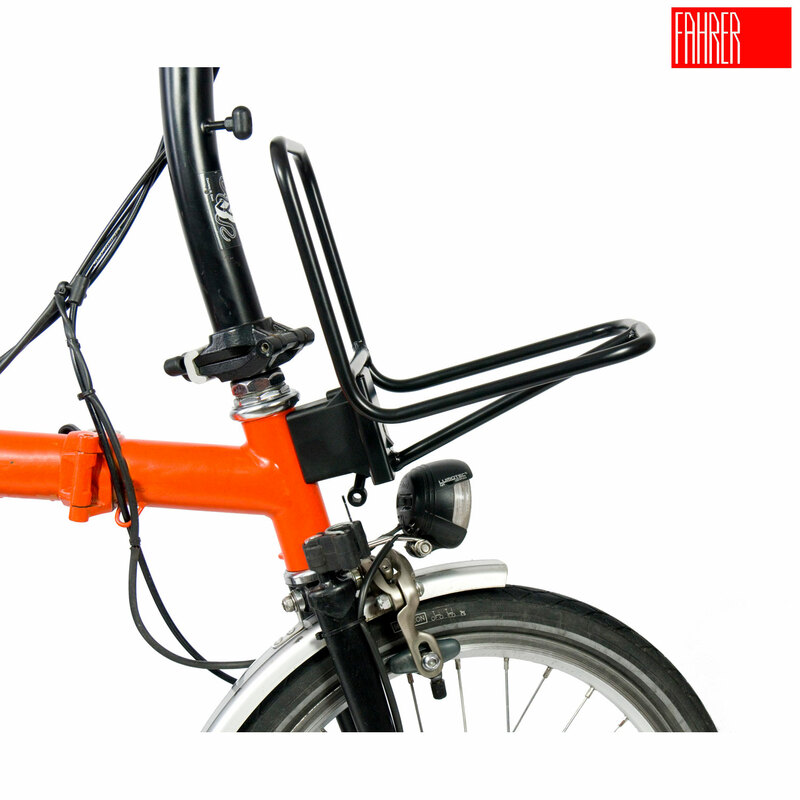 The carrier can also remain on the folding bike when folded. Bags and boxes can be transported on the carrier. However, these should be secured with a belt or similar. The Ganove bag, which matches the carrier, is very convenient to carry. This has a suitable holder on the back, with which it can be attached to the carrier fast.